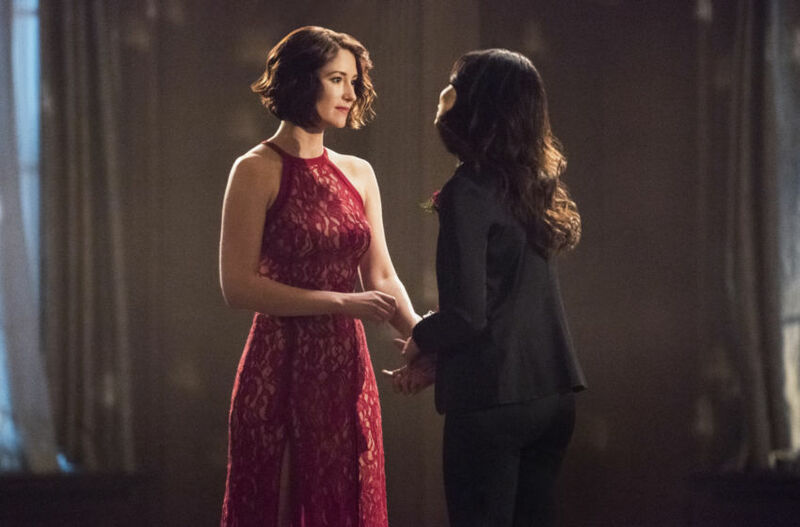 Love is in the air in this week's episode of Supergirl, where Kara meets fifth dimensional being Mxyzptlk, who spontaneously appears declaring his love with red roses and quartet galore. It was refreshing to have an episode based entirely around the character's emotions and relationships. Kara and Mon-El's turbulent conflict and complex coming together was played really well by Melissa Benoist and Chris Wood. More interestingly, Maggie's reasons for not liking Valentine's Day was really fascinating, her bad experience with her parents opened up more opportunity to learn more about her character. Alex/Maggie's relationship is wonderfully raw and unpredictable but there is an underlying respect and love that is undeniably adorable. Winn's abrupt relationship with alien Lyra was another welcome addition, as politcally and socially it reflects society's transgression of other races. Additionally, the comedy elements were rather silly but served their purpose of providing light entertainment as Mxyzptlk kept clicking his fingers, desperately trying to make Kara his wife. The straightforward resolution didn't detract from the more layered character moments as it was nice to have the villian defeated rather efficiently. Maggie giving Alex the Valentine's Day she always wanted was so heartwarming and strengthened their relationship further. 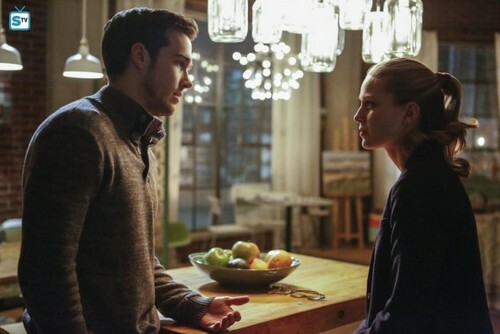 Even though it was great to see Kara and Mon-El finally admit their feelings, it began the long road of seeing how it will end, Mon-El is already hiding the fact that the aliens they encountered a few weeks back spared his life and he seems to be very important to some killer aliens. Overall, Valentine's Day provided some sweet and complex relationship developments, warming the heart and providing some laughs along the way. We Can Be Heroes plays with Mon-El and Kara's relationship as she reunites with her nemesis- Lvewire. 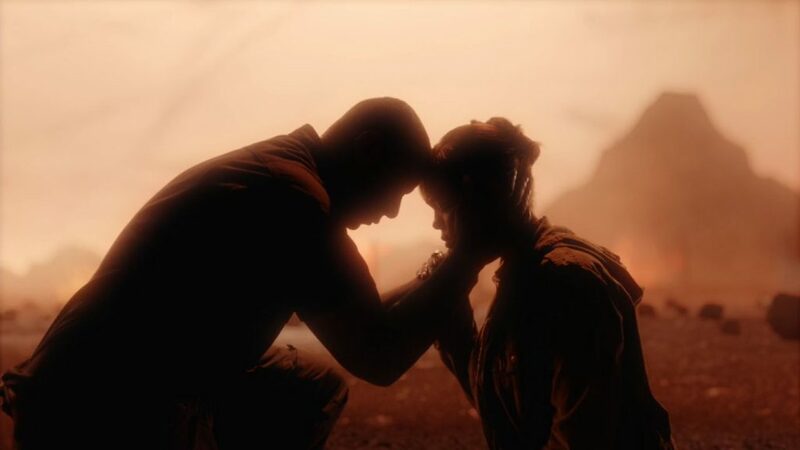 This episode made me feeling relieved and surprised at Supergirl's reaction to James being Guardian. Happening by chance, it's understandable that Kara would be angry that her friends had kept this secret from her, but it doesn't explain why she would be so dismissive of Jame's justification for wanting to be Guardian. Supergirl seems to think she has a right to tell James that he cannot be a superhero, while training Mon-El who only feels like he wants to become a superhero so he can work with Kara and gain recognition from her. 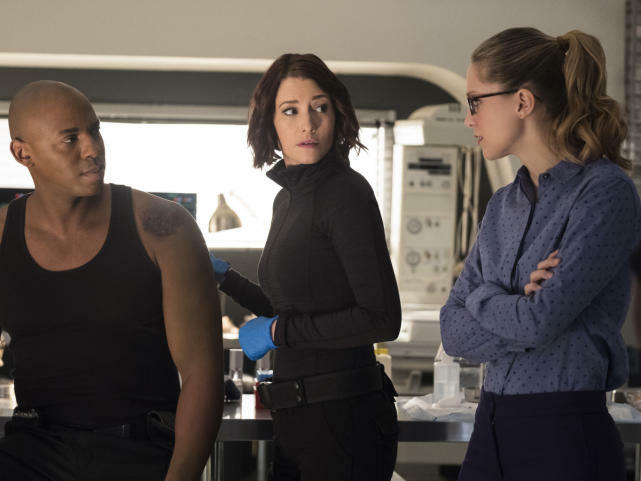 It is clear that Kara is worried about James being killed but de-valuing his motivations for wanting to be a hero doesn't feel like an action she would take. 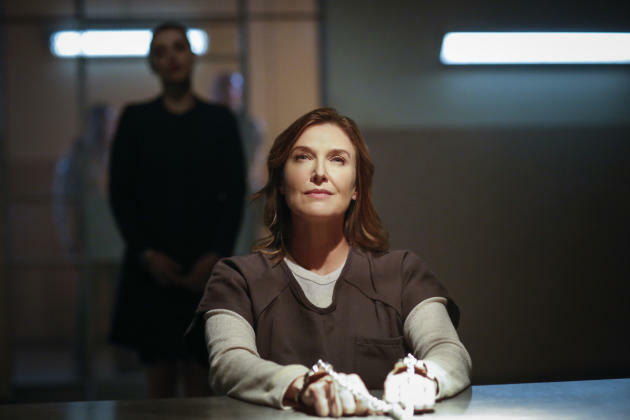 Elsewhere, with Kara thinking Livewire had escaped, when in fact she was kidnapped, this was a clever twist which was entertaining and compelling because you're left debating how Livewire's imprisonment has changed her psychological condition. Another successful aspect to the episode was the gradual evolution of Kara's and Mon-El's relationship. Kara's frustration that Mon-El wouldn't admit his true intentions for becoming a superhero was an interesting development to their partnership because it provided texture to the complications of their dynamic. 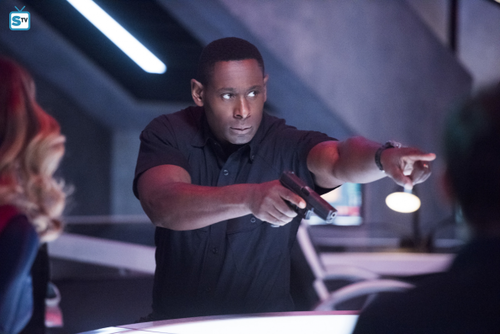 J'onn's complex relationship with M'gann produced a moving and uplifting dynamic to the narrative because the themes of forgiveness and the chaos of war featured heavily within J'onn's solution to accepting what happened to his people, and his commitment to forging a friendship with M'gann was indeed honorable and noble. The visual aesthetic of M'gann's psychological attack was an intelligent technique to use to project the expansion of her memories and her internal torment, this was a great way to engage more effectively with her character. There were many strong elements to the episode; Mon-El's development, Kara/James confrontation and J'onn/M'gann psychic bond which beautifully explored the history of two aliens who have suffered greatly. 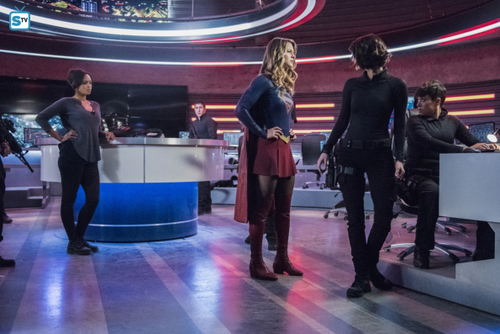 With gripping action scenes and engaging drama between Kara and her friends, We Can Be Heroes delivers on atmosphere, drama and action but fails to justify Supergirl's lack of empathy for James as Guardian.